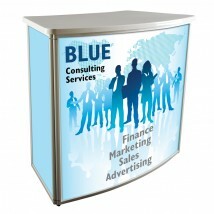 Our range of portable counters and workstations are ideal for exhibitions, trade shows, promotional events or presentations. 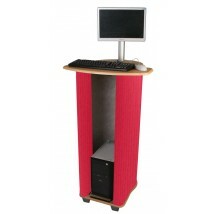 With many of our counter workstations being flat packed for easy assembly, transport and storage. 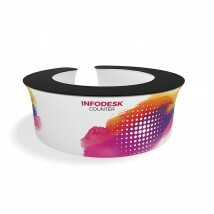 Counters are great for giving a point of focus to your stand and are a cost-effective way of showing your branding with the option for custom printed graphics. 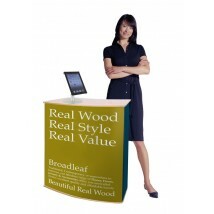 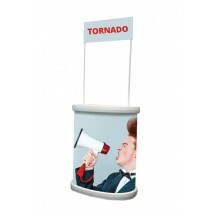 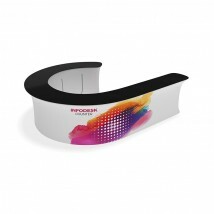 Portable and lightweight, our range of exhibition counters and workstations are a great focal point for trade shows, promotional events and presentations and can be assembled and taken apart in minutes. 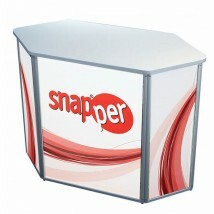 Many of our stand up counter workstations are flat packed for easy transportation and storage and have the option of adding custom printed graphics to effectively display your branding. 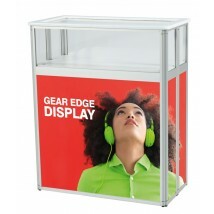 Exhibition counters may be open or closed at the back (sometimes lockable), depending on whether you require extra storage or prefer a seamless finish. 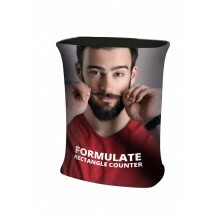 Our pop up counters feature a simple graphics wrap, while the fabric counters are finished with a fabric wrap – either plain or printed with your graphics. 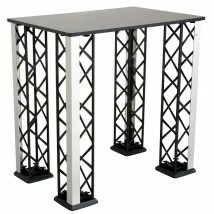 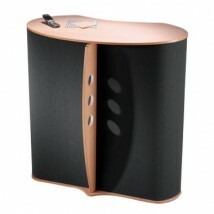 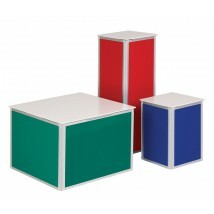 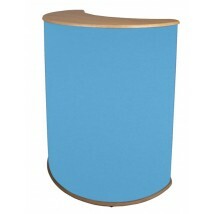 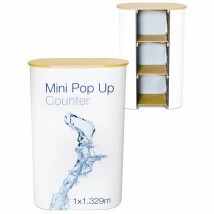 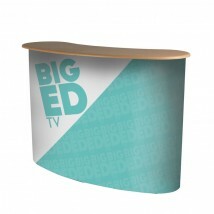 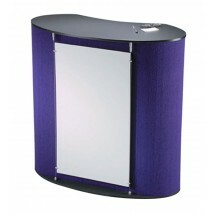 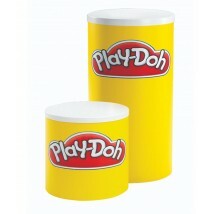 Most counters come with a choice of table top colour to blend with any existing event furniture. 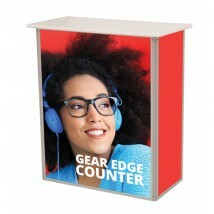 Straight folding counters have a more traditional design, folding flat for convenience, while truss counters have a contemporary finish and are ideal for complementing truss gantries. 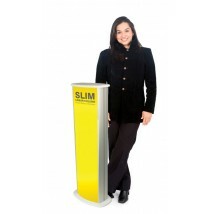 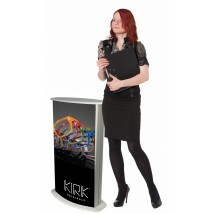 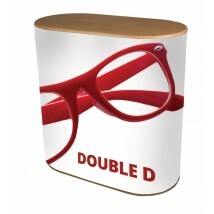 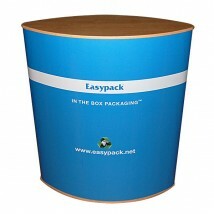 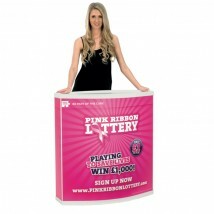 Display plinths are a versatile event essential, providing space to display products or leaflets, or even a laptop. 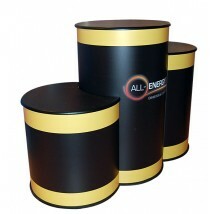 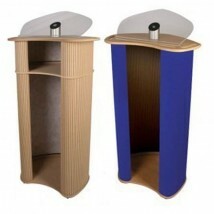 Our plinths are flat packed and don’t require tools for assembly, making them a quick and easy display choice. 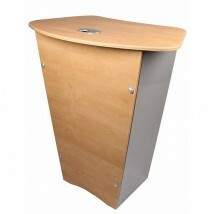 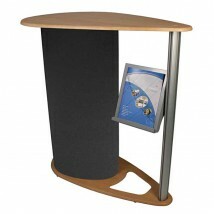 Specifically designed for laptops, our computer pods feature cable management ports to keep your event space looking tidy and organised, and conference lecterns are supplied with angled literature stands, making them ideal for seminars and speeches. 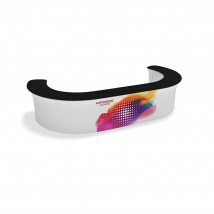 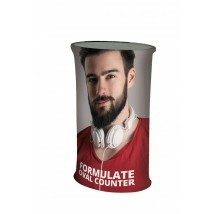 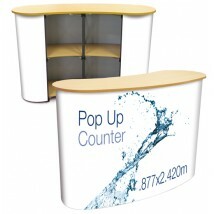 For in-store tastings and giveaways, our promotional counters feature hygienic wipe down tops and highly visible header panels to ensure they are easily seen above the crowds. 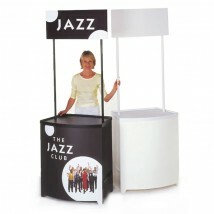 For sporting events, fairs and festivals, our outdoor kiosks are robust and weatherproof, making them ideal information points come rain or shine. 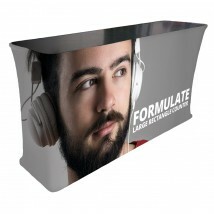 Whatever the event, our range has the ideal solution for your business, and can upgrade the look of your counter with custom graphics printed in vibrant colours to ensure your branding gets noticed for all the right reasons.